ARRA News Service: Israel Rises In The East . . .
Israel Rises In The East . . .
. . . The significance of Netanyahu's meeting with Putin in Moscow. by Caroline Glick: There was something poetic about the events that bookended the past week of diplomacy. This week began with French President François Hollande’s “peace” conference and ended with Prime Minister Benjamin Netanyahu’s state visit to Moscow. From the perspective of both substance and style, the contrast between the two events couldn’t have been more striking. France hosted yet another anti-Israel diplomatic pile-on. Hollande had hoped to show that France was stepping into the void left by the US’s abandonment of its position as world leader. But all the confab served to do was show how irrational and self-destructive France – and Western Europe – has become. Neither Israeli nor Palestinian representatives were present at the conference which aimed to dictate Israel’s final borders. Their absence made the event seem like a throwback to the era of European colonialism. It was as if Hollande wanted to reenact France’s glory days in Syria and Algeria. In his opening remarks, Hollande recycled the tired claim that the way to defeat jihad is by forcing Israel to give Judea, Samaria and Jerusalem to Islamic terrorists. The document the French Foreign Ministry circulated among participants ahead of the conference recommended setting a timetable for forcing Israel to give the PLO Judea, Samaria and large swaths of Jerusalem, for the benefit of global security. The French planned their event before the mobs in Ramallah, Hebron, Jerusalem and Gaza publicly celebrated the cold-blooded massacre of Israeli diners at Tel Aviv’s Sarona Market on Wednesday night. But the latest massacre wasn’t necessary to show the absurdity of France’s plan to defeat jihad by empowering jihadists at Israel’s expense. After all, Israel surrendered Gaza to the Palestinians 11 years ago. Far from ameliorating the problem of jihad – in Europe and throughout the world – the scourge of Islamic war has grown geometrically in the past decade. France’s own recent experience shows that Hollande’s “peace” plan was a delusional. In 2000, Muslims comprised 10 percent of the population of France. That year, the state-owned France 2 television network invented the contemporary blood libel of Jews as baby killers with the release and dissemination of its deceptive film which purported to show IDF troops deliberately murdering Muhammad al-Dura. The Dura libel unleashed the forces of Islamic Jew-hatred in France and throughout Europe. It paved the way for the rise in anti-Jewish violence unseen since the Holocaust. This violence in turn is causing the current exodus of Jews from France and from Western Europe as a whole. But assaulting Jews didn’t satisfy the jihadists. As last year’s events made clear, the state authorities’ desire to deflect Islamic extremism onto Jews – in Israel and in France – backfired. Fifteen years after the Dura blood libel, Muslims now comprise at least 15% of France’s population, and 40% of the population of Marseilles. And today, the same extremists who have terrorized France’s Jews for a decade and a half, have turned their guns on French society as a whole. Last year’s Islamic killing spree, from Charlie Hebdo and Super Cacher to Bataclan made clear that as far as the jihadists are concerned, the French Jew-baiters are no different than the Jews. Even worse, with their hatred legitimized by the Jew-baiters, France’s jihadists feel they have license to direct their rage and guns in whatever direction they choose. If this weren’t bad enough for the likes of Hollande, despite the elites’ attempt to blame Israel for the rise of jihadist forces in France, the native French see what has happened. Squeezed between political leaders who pretend the problem is Israel and Islamic radicals who deprive them of the freedom to live as they please without fear, public sentiment in Europe is increasingly desperate, and angry. Rather than address their concerns, Hollande and his fellow elites have sought to repress them. Consider the case of Brigitte Bardot. The mid-20th-century French sexpot and national icon has been convicted six times in recent years for “inciting hatred.” Her crime? Bardo has written angry books and articles about what she refers to as an “Islamic invasion” that imperils the French way of life. Rather than recognize that their own people can’t stand their games anymore, and aren’t buying their attempts to blame Israel for the rise of jihadist forces in France, Hollande’s “peace” conference was proof that he and his colleagues have chosen to double down on their anti-Israel scapegoating. With a tailwind from anti-Israel activists posing as journalists, Hollande believed that the conference could elevate him, and hide from French voters his failure to defend his country. The Washington Post’s editorial board joined him in this delusion. In an editorial published in the lead-up to his conference, the newspaper argued that the anti-Israel conference should serve as the opening salvo of an escalating diplomatic war against the Jewish state. The culmination of that war, the paper said, should be an anti-Israel resolution at the UN Security Council in the final days of Barack Obama’s presidency. But if this is what the West’s renewed war against Israel looks like, then Israel has little reason for concern. In the event, even Hollande’s accessories – the 29 foreign ministers including Secretary of State John Kerry, who attended his meeting – couldn’t maintain the fiction that scapegoating Israel would secure them. In the conference’s closing statement, the most they could muster was a weak condemnation of Jewish construction on the one hand and Palestinian terrorism on the other, coupled with a call for direct negotiations between Israel and the PLO . If this is the best they could do then it is clear that even if they do pass an anti-Israel Security Council resolution as Obama packs his bags, given the realities on the ground, the resolution will be written on water. And if Hollande’s failed conference wasn’t humiliating enough, Netanyahu’s trip to Moscow reinforced his humiliation, and demonstrated that Europe’s embrace of anti-Semitism has done nothing for its international stature. On Tuesday, Netanyahu arrived in Moscow for his fourth meeting with Vladimir Putin in the past six months. Unlike their other meetings, this week’s visit was both ceremonial and substantive. Moscow and Jerusalem celebrated the 25th anniversary of the restoration of diplomatic ties between Israel and the Soviet Union, which Moscow cut off after the 1967 Six Day War. Putin lavished the honors befitting a major ally on Netanyahu. In so doing, Putin showed that Israel is anything but isolated, and far from dependent on the goodwill of European basket cases. Europe and the American Left have seized on Palestinian grievances against Israel as proof that the solution to jihad is anti-Semitism. They have made Israel-bashing the centerpiece of their foreign policy. In contrast, under Putin, Russia has chosen to base its foreign policy – and its bid to replace the US as the chief power broker in the Middle East – on reality. As a result, during his meetings with Netanyahu, the Palestinians were given the attention that they deserve, as a minor nuisance. After paying lip service to the mordant “peace process,” Putin and Netanyahu got down to business. They discussed everything from Iran’s rise in Syria to Israel’s gas industry to free trade to the approaching rapprochement between Israel and Turkey. The distinction between the business of real statecraft for a real world as practiced by Netanyahu and Putin, and the imaginary statecraft practiced by the French and their guests, is jarring. Putin is determined to emerge strengthened from the chaos now engulfing the Middle East, and through it, the world as a whole. As a consequence, he is embracing Israel as an ally and a trading partner. Westerners, whose strategy for surviving the chaos is to turn a blind eye to the dangers, are targeting Israel with unwarranted and self-destructive diplomatic assaults and escalating economic warfare. This brings us to the US – whose abandonment of its traditional role as the dominant superpower in the Middle East facilitated Russia’s rise to power. In the twilight of the Obama era, the US is steeped in an identity crisis. The Democratic Party has been radicalized. The Republican Party is in disarray as the forces of populism and prejudice have been unleashed by Donald Trump’s unforeseen rise. Under the circumstances, and given that the disastrous legacy of Obama’s foreign policy, it is hard to see the US restoring its global leadership in the near future. Given the intensity of Netanyahu’s discussions with Putin since the Russian leader deployed his military forces to Syria last year, many wonder if a major realignment is in the cards for Israel. When asked about the prospect of replacing the US with Russia as Israel’s superpower patron, Netanyahu rejected the notion. He explained simply that the US is irreplaceable. He is right. And not merely because Russia cannot supply spare parts to Israel’s F-16s. 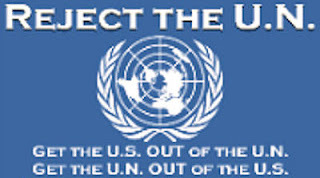 Unlike Britain, which was seamlessly replaced by the US as the leader of the free world in the aftermath of World War II, the US has no clear successor. Moreover, despite its self-destructive tendencies, the US remains the world’s biggest economy and most powerful nation. The significance of America’s loss of the will to lead the world is not that the US will disappear. Rather, it will share the stage with other, rising, powers. For Israel, this means that while maintaining the US as its primary strategic partner, Israel cannot continue to place all of its eggs in America’s basket. As Netanyahu is doing with Putin as well as with China and India, recognizing America’s new limitations, Israel must diminish its dependence on Washington, while developing noncompeting alliances with other powers, based on shared interests. What Israel’s attractiveness to other world powers makes clear is that as America’s power wanes, Israel needn’t and oughtn’t seek to replace it with another superpower patron. Israel today is fully capable of fending for itself. 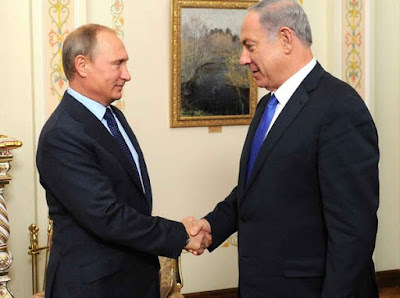 Putin courts Netanyahu because Israel is strong. And the stronger it is, the more leaders will beat a path to our door. The failure of France’s “peace” conference, on the one hand, and the success of Netanyahu’s fourth visit to Moscow on the other hand, were poetic bookends of the week because they were a vivid exposition of Israel’s true diplomatic and strategic position today. Israel is neither weak nor isolated. It is embraced by the rising powers. And the waning ones that scapegoat the Jewish state are leading their countries into economic and cultural decline and security chaos. Tags: “peace” conference, France, Israel, State Visit, Russian, Prime Minister, Benjamin Netanyahu, Moscow, Vladimir Putin To share or post to your site, click on "Post Link". Please mention / link to the ARRA News Service. and "Like" Facebook Page - Thanks!